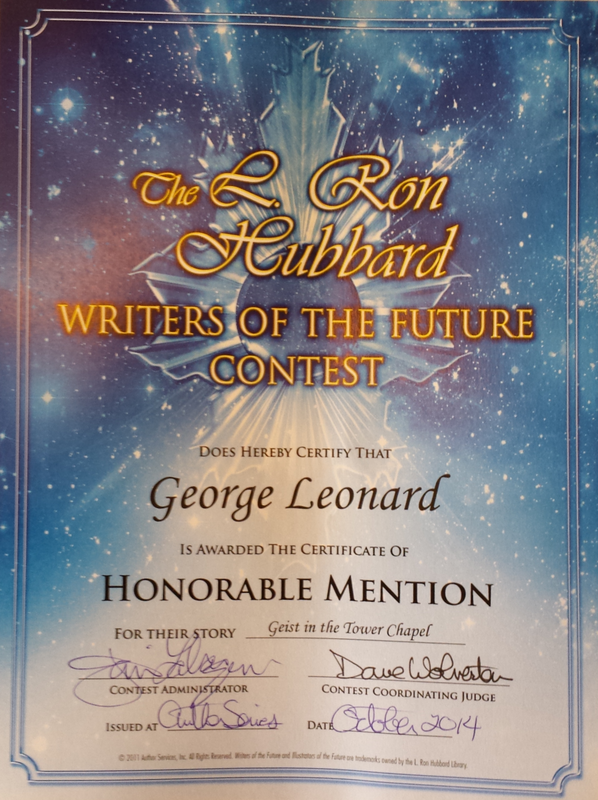 It's been about a year and a half since I mentioned the Writers of the Future contest. This is an ongoing annual contest that seeks aspiring writers in the science fiction and fantasy genre to submit a short story up to 17,000 words in length. Four times a year cash prizes are awarded for the top three submissions in that quarter, and at the end of the year all twelve stories are considered for the grand prize of $5000. Winning 1st place in any of the four quarters also earns the author a publication deal in their annual Writers of the Future anthology. If you're interested in all the details, you can find out all about it here. While I will not be publishing the full story on my blog (at least not until I've exhausted other publishing opportunities), you can read the original short version from which this latest piece was crafted, which I published earlier this year right here on my blog. If you are an aspiring writer in the fantasy or science fiction genre, I highly recommend entering this contest. Only writers without any major publications are allowed to enter, and almost every author who wins the contest goes on to secure a major publication deal. And best of all, it's completely free to enter. What do you have to lose? Grrrrrreat, congrats ! I've heard of Mr Hubbard before. Did not know such writers contest existed before reading your lines. Is that kind of a tribute to what he's been producing when he was alive?